Reminds me of my childhood days and my mom’s canning. Really like the morning sun. Gives me a feeling of contentment! I’m a subscriber and reader of your blog and thought it was time to comment. I love photography, especially landscape photography, but don’t have many opportunities to travel. So, I also look for interesting ways to shoot the ordinary and mundane. I have a photo to share with you but don’t know how to attach it, so I’ve included a link. I shot this a few weeks ago. It’s a yellow footpad thing that embedded in a lot of sidewalks where they meet the street. For traction, I suppose. It’s bright yellow and seems to made of some type of plastic or rubber. I see this on my way to work every morning and I was really attracted to the textures and shadows and thought it would make a good blacka dnwhite image. I shot this with my Fuji X-T1 and an 18-55mm lens. I really enjoy your blog and the creative ways to find to use your 50mm lens. Just got back from a hearing this morning and went to this site. It never ceases to amaze me how you can take an otherwise boring and nondescript subject and turn it into a great lesson in photography! The composition is classic Rule of Thirds. But! You caught the shadow from the jar moving from left to right in its entirety. 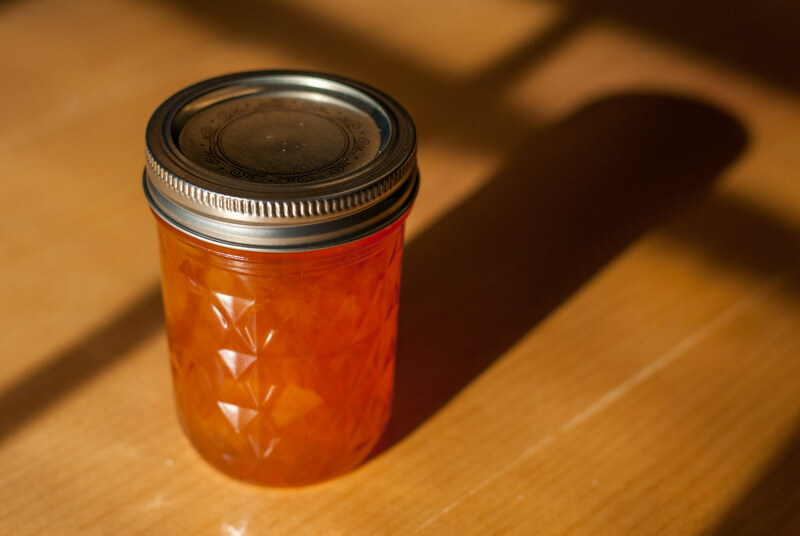 Moreover, the other shadows complement the picture and help focus the viewers attention on the jar. Also nice is the way you caught the sunlight shining off of the left side of the jar and cap. It really sets things off. What a good challenge you put out for us. Search for a mundane and ordinary item and work to present it in an pleasing or unusual way. All this with a 50mm! Okay, where is that D7100 of mine? I hope the hearing went well, David! And thank you, as always, for your kind words about my W50 photos :) You’re right that this is the classic Rule of Thirds, and for some reason I really enjoy composing shots like this. I know some people think it’s kind of a cliché to use the Rule of Thirds, but I like it. I’m looking forward to your picture! It’s funny you mentioned the last shot was your favorite Tom, because it was mine too. I actually skipped reading most of your comment because I wanted to see the images at the link, and my first reaction was “Whoa, that last one is really cool!” Then I went back and read your comment and saw you thought the same thing :) Now you’ve given me a few new ideas to try. Thanks! Droplet Photography…now that’s a cool sub-genre I had not thought about before, Beth. I’ve taken some droplet pics in the past but I didn’t think about how there might be an entire community of droplet-photo-lovers out there. That is a gorgeous photo, and you’re right: it’s something most people would just walk by and ignore.